Synology Diskstation DS214SE is the cheapest Diskstation from Synology. But don’t think it is not capable. Synology claims reading speed of 102MB/s and writing speed of 58MB/s. DS214SE features 800MHz Marvell Armada processor and 256MB RAM. Synology Diskstation 214SE runs on DSM 4.3 which is the same on all devices. 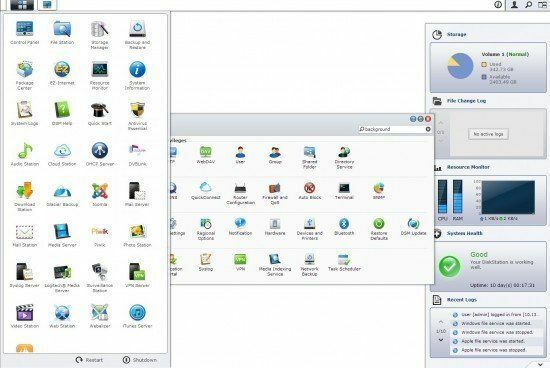 DSM is one of the best things that make Synology so great, it’s easy to use and has the same familiar GUI on all diskstations, weather they are for home use or the ones that are intended for business use and cost more than 2000$. Several people I know who started using Synology devices, got back to me after a while really impressed with DSM. And I mean both, business and home users. Audio Station is a web-based audio application, allowing you to access the music library on your DiskStation or Internet radio, and play music on your computer & iOS/Android devices. Cloudstation is your private DropBox like system, where you sync files from your computer to your own private cloud – Synology DS. Download Station is a web-based download application, allowing you to download files from the Internet through BT, FTP, HTTP, NZB and eMule. iTunes Server allows you to share the music and videos on your DiskStation with all iTunes clients within a local network, and to browse and play these multimedia contents with iTunes. Surveillance Station, you can set up your IP Cameras and watch and record live view videos via web browser, VisualStation, or mobile device for remote monitoring. Mail Station provides a webmail service for you to access emails stored on your DiskStation. You’ll be able to use a web interface to send and receive mails. VPN Server offers an easy VPN solution that turns your DiskStation into a VPN server, providing a secure way of connecting to a private LAN at a remote location. Video Station lets you browse and organise all video contents stored in your DiskStation conveniently. This is just the beginning, you can install WordPress, Joomla, Magento, Mediawiki, OSticket, SugarCRM, Zarafa… you name it, and best of all, you need just one click to install application. There are two applications that are bundled with the device on a CD, first is the Synology assistant for setting up new device and the second is DataReplicator 3, backup program for backing up files from local computer to Synology Disk station. 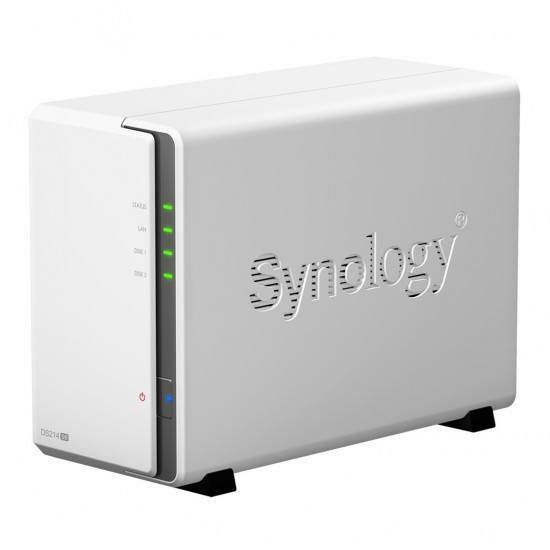 Synology DS214SE looks very much alike older brother DS213j, the only difference is a model number in the front. Front side features power button and four LEDs for activity information. On the back side is one large fan and Kensington lock. Synology DS214SE is one of the cheapest Synology disk station models and one area where Synology saved some money is lack of drive trays, you have to unlock it on the left side and slide one part a bit forward to open it. Then you place hard drives on the metal cage where you have to screw them. I have installed 2x 3TB WD Red drives. WD Red is a series of hard drives optimized for use in a NAS. I set up drives in RAID1 and started testing, wondering about results. I was able to to get download speed of 99MB/s and upload speed of 54MB/s. Wow, we got really close to promised 102MB/s read and 58MB/s write speed. What about iSCSI performance? I was able to to get reading speed of 60MB/s and writing speed of 53MB/s. SCSI performance topped at 60MB for download and 53MB for download. Great for hardware specification. It’s really important to note that this little device is about $40 cheaper than DS213j with about the same performance. I think DS214se is great entry device for home NAS, running app or two, for backing up files and for storing movie collection. If you are a power user you should look at 214 or 214+ which have more memory and faster CPU.